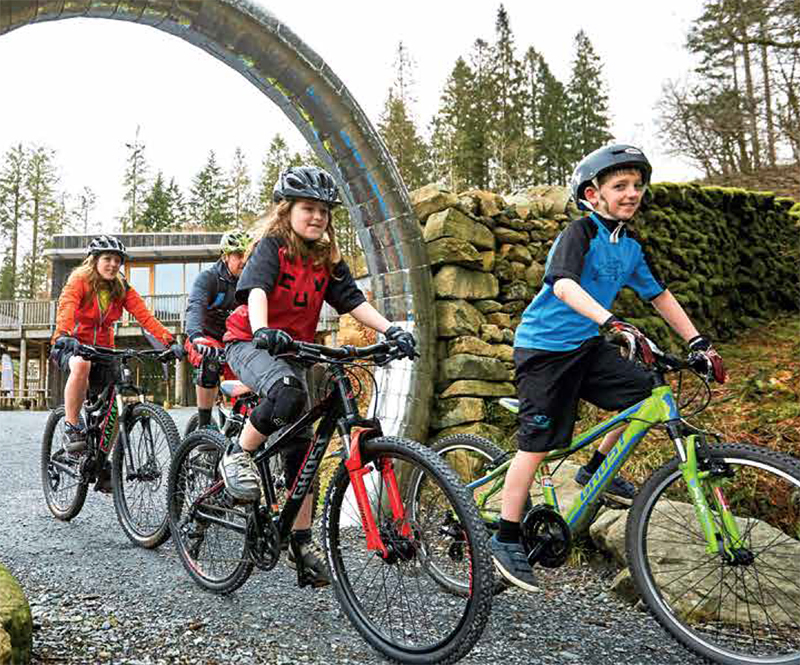 The MinorTaur has quickly become the most popular trail at Coed y Brenin. It’s a great fun introduction to mountain biking for a wide range of ages and abilities and is unique, in that it is usable by riders with a disability on adaptive mountain bikes. The trail is built in 4 loops, which get progressively longer, so you can choose the distance you want to cover. There are plenty of fun features, including stone steps, tabletops and fantastic swoopy berms. Remember to treat with caution on your first ride, perhaps going back over the different sections to improve your skills.